I look up Back to the Future and get this. THE JOY, THE LOVE, THE MESSAGE, THE PRAISE--AND EVERYTHING ELSE IS JUST AMAZINGLY A BLESSING. GETS MY SOUL, MIND, HEART, BODY--ALL THIRSTING FOR MORE. LOVE IT. MAKES MY 40 MINUTE DRIVE WORTH EVERY SINGLE SECOND FOR REALITY LA AND OUR GOD. PRAISE THE LORD!! I live in Crawfordsville IN and enjoy the weekly broadcast so much. Thanks Tim and all the other pastors that speak at RLA. So good! Tim is so wise! The Lord has blessed this church and the pastors. rock solid theology! I go to Reality on Sunday and then have the podcast on repeat on Monday. Each time I hear something different. Incredible. I listen to this everyday, I've listened to every podcast on here and wait each week for the next. Listening to this has changed my life. Thank you for being man of God, Tim. Thanks for the spiritual lift. I listen to podcasts weekly. Thanks Reality LA. Teacher Tim (in person) is open to have lived a rough youth life & is not a typical unblemished/never experienced the real world type of pastor. He looks beyond his 32 summers... which Is real. Also, refreshing to visit a church that finally feels concern for local & community needs. After all, how can we help others outside our own town, country, etc IF we do not first tend to needs problems (hunger) at home? With people suffering on our own streets, children in our own families, etc. As Bible reads in Matthew; "... First take the plank out of your own eye, and then you will see clearly to remove the speck from your brother's eye." May this gathering be blessed for blessing. It's such a blessing to have this podcasts for days I'm not able to go to Reality LA. Tim Chaddick is funny, relatable and he is so gifted in sharing the Word. Definitely check it out if you want to hear truth and Jesus! All the teachings have been a true blessing! I like the fact that if I miss one day I can listen to it on my podcast! The sermons are consistently challenging, intelligent (I learned so much about theology and biblical doctrines), based on the Word, funny, relatable, and authentic. God has very much so blessed Tim with much knowledge and wisdom and he has faithfully been equipping listeners as a result. Awesome sermons grounded in the bible, solid teaching! My friend and I always go to reality LA when ever I visit the city so even though I attend my own church here in LA Tim Chaddick is so good I still listen to his podcasts every week. Everyone don't miss a single one! Why change bit rate so often? BTW, 64bps is perfect (even 48), why you make it bigger? PRAISE GOD FOR TIM CHADDICK! The Holy Spirit is clearly working in and through him! I have been attending Reality LA for about 2 years now and every sunday, his preaching blows my mind. He is incredibly intelligent. His sermons are organized and easy to follow. He is entertaining. I know that God is using him in amazing ways!! This is the usual bigotry of the far religious right, wrapped up in a modern "inclusive" package. The episode "Is Homosexuality a Sin" is a good example of this, with unsurprising extreme lapses in logic and grand posturing, as a blatant attempt to mask the hate that is being spewed out of the speaker. Tim Chaddick is an incredible speaker. He seeks God provision for ever searmon. He uses facts, and is really funny. Every sermon I've listened to is God breathed. Listen to just one of his sermons and you'll want to hear more. the Lord really works through Pastor Tim he is amazing!!!!! Tim teaches truth in humility with an obvious concern for God's heart in every message. A very diverse congregation means a message for everyone. 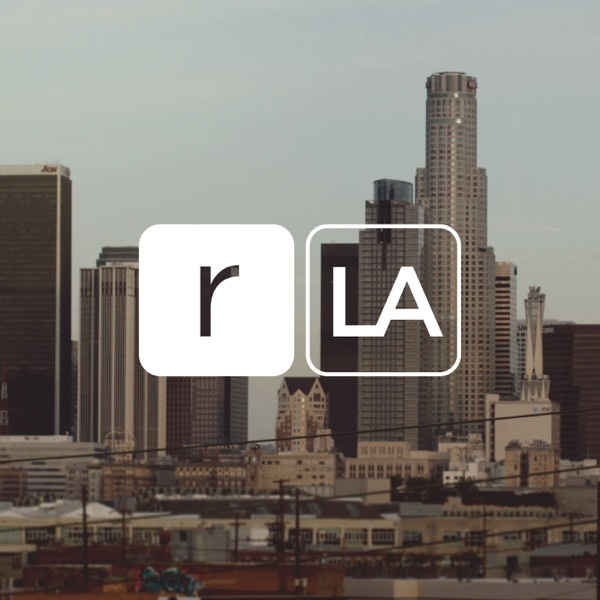 LA is spiritually rough ground and God is doing a great work through this bible teaching church. I think that big things are to come for Reality LA and I'm so excited to be a part of it. What a gift this man has.. This man lives it ! which is why he speaks with soo much Passion for GOD almighty . They are a must hear! yeah! he be bringin' it like Pastor B-money over at Reality Carpas . . . they both be bein used like 'hammers' in the hands of the Lord!! Jer. 23:29 “Is not My word like fire?” declares the LORD, “and like a hammer which shatters a rock?" I saw Tim speak 3 years ago at my last Jr. High summer camp. Recently I was looking through my old camp booklet, and decided to search his name to see if he had any podcasts--and sure enough, I found him. I love how Pastor Tim teaches the word of God while making it relevant to my life without comprimising it's truth. He teaches with a passion for God and His word that I desire in my own life. Tim Chaddick is right on, and God is using his teachings to help me grow in Jesus. I think I've missed one Sunday. Tim is amazing and God is using him to change lives.